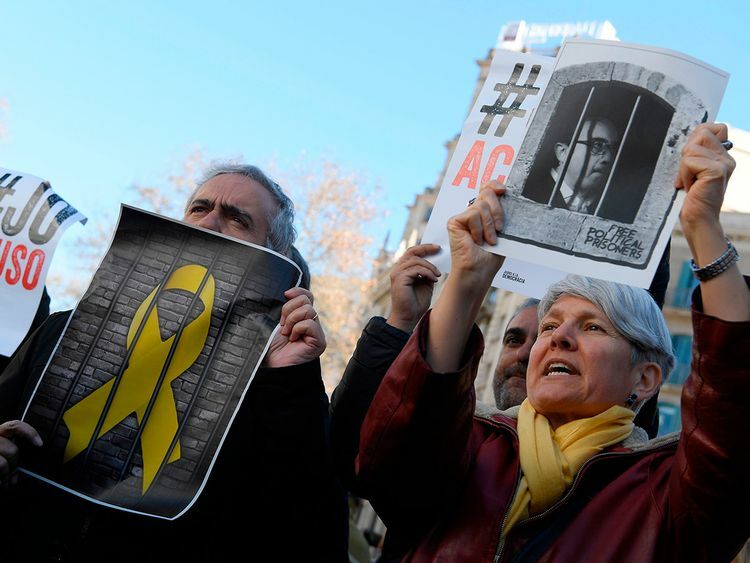 MADRID: A sensitive trial against a dozen Catalan separatist politicians and activists got underway on Tuesday in Spain’s Supreme Court amid protests by pro-independence supporters and a highly volatile political environment. Sanchez could be forced to call an early election if the Catalan separatists, whose support brought the Socialists to power last year, don’t change their current position of voting against the prime minister’s spending plan on Wednesday. A debate in the parliament’s lower house began on Tuesday. On Tuesday, pro-independence protesters briefly blocked highways and roads before the trial began at Spain’s Supreme Court in Madrid. Junqueras faces up to 25 in prison if he’s found guilty of rebellion, while others charged with sedition or misuse of public funds could get lower sentences if convicted.